A former psychotherapist and director of leadership for a Northwest corporation, John Wood has written several books. Among them are The Little Blue Book on Power (2nd edt. 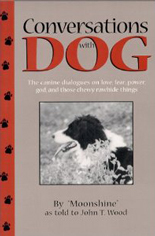 2010), Conversations With Dog (2000), Little Deaths Like These (2003), and The Way We Love: 105 truths on the path to intimacy (2004). 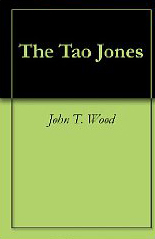 Wood's work The Tao Jones (2008) blends Eastern and Western thought and applies the principles thus gained to organizational and leadership issues. 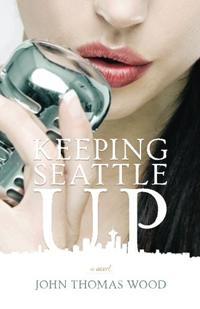 Among the author's works of fiction are Citizen (2012), a novel about three families who endure the racism of Japanese-American internment during WWII, and Keeping Seattle Up (2014), the story of a Seattle psychotherapist who confronts love, loss and intimacy in his life while also being the single parent of a precocious sixteen-year old girl. In addition to his writings, Dr. Wood has led numerous workshops both in the U.S and abroad.